In September of 2016 I embarked on a private 10-day guided tour of the mining towns of Minas Gerais, Brazil. Why Brazil? If you love crystals and minerals, Brazil is the dream destination, sure to top your bucket list of must-see places in the world. The mineral tour was organized and led by Pedro Paulo Pinto, an experienced English-speaking guide who owns a travel agency in the colonial mining town of Ouro Preto. I was the only person on the tour, which included stops in some of the best-known mining towns in Minas Gerais, trips to a number of underground and open-pit mines, and visits to the shops and warehouses of over two dozen mineral dealers. This is my journal from the 18 days I spent on this amazing trip-of-a-lifetime for this mineral collector. 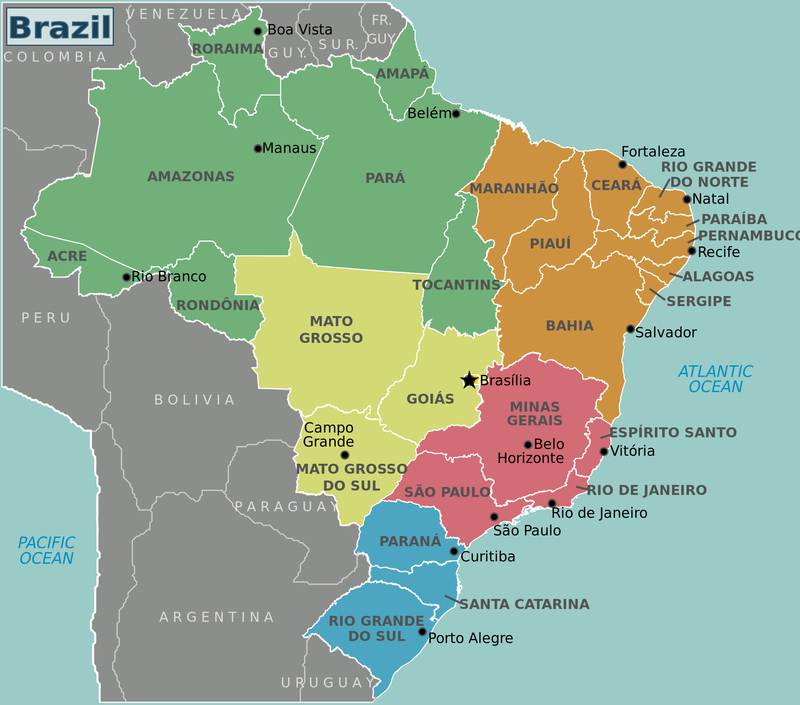 Minas Gerais is in southeastern Brazil, and its capital, Belo Horizonte, is about 250 miles NNW of Rio de Janeiro. Minas Gerais (which translates as "General Mines") is the fourth largest state in Brazil, and it is the country's best-known mining province, famed for its fine gemstone specimens of tourmaline, topaz, various members of the beryl group (emerald, aquamarine, morganite and heliodor), in addition to abundant quartz, (found in various forms including smoky quartz, citrine and rose quartz). The region's abundant pegmatite mines also produce other less well known gem minerals such as kunzite, chrysoberyl, euclase, and brazilianite. In addition, the state has huge reserves of iron and sizeable reserves of gold and diamonds, and is a major producer of milk, coffee and other agricultural commodities. It is about 1,300 miles south of the equator, and has a humid subtropical climate. Since gemstones were first discovered here in the 1600's, Brazil has produced the greatest variety and the largest quantity of gems and semi-precious stones in the world. Mining is very much a part of the Brazilian culture, and prospecting is a way of life for many people. The northeastern portion of Minas Gerais is said to contain the world's greatest concentration of complex granitic pegmatites, which are especially noted for their production of gemstones. 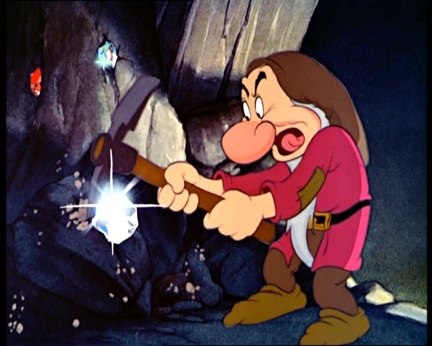 Here, prospectors, called garimpeiros, tunnel into the hillsides, where, because of the softness of the earth and the fact that the pegmatitic feldspar has decomposed, only hand tools (pick, shovel, and sorting basket) are needed to find the gemstones. Such mining is often conducted without obtaining licenses, which can be quite expensive and difficult to obtain due to legendary bureaucratic red tape, expensive pre-mining requirements, and burdensome mining regulations (see Sidebar 3, Artisinal Mining by Garimpeiros). The high cost of complying with governmental regulations, which have mushroomed since 20101, is said to be the main reason that mining in Minas Gerais is now almost exclusively an underground affair (pun intended), and that production of gemstones and crystals today is only a fraction of what it was in the 70's, 80's and 90's. Artisinal mining is further complicated by monsoon-like rains that make digging all but impossible from October through February. Click here to see the mineral specimens I purchased on my Brazil tour. The trip from Hartford, Connecticut to my hotel in Ouro Preto in Minas Gerais required 4 flights and took 36 hours from door-to-door. Entering Brazil in Rio de Janeiro was hassle-free, as the Brazilian government had waived the usual visa requirement because of the 2016 Olympics (visas are now available online for as little as $49). I did have to declare the money I was carrying with which to buy crystals (before leaving home I had converted my dollars to Brazilian reais, which were worth about 3.20 to the dollar). Carrying that much in cash, I was concerned about safety, so I had arranged for a private driver to make the transfer from Galeão International Airport to Santos Dumont Airport for my domestic flight to Belo Horizonte. I was met at the Belo Horizonte airport by Pinto, my guide for the mineral tour. When I saw him holding the sign with my name on it I could breath again. Big relief! I was soon whisked away to Ouro Preto, a city of 70,000 about 2½ hours drive away, which grew up in the 1600s and was the world's largest supplier of gold for two centuries (in Portuguese, ouro preto means "black gold"). Pinto brought me to my hotel, where I rested before going out for dinner, which is served late in Brazil - not before 7:30 p.m. Ouro Preto is in the mountains southeast of Belo Horizonte, at an altitude of 3,700 feet. Because of its well-preserved colonial architecture it is a UNESCO world heritage site. It was built on very steep hillsides, featuring cobblestone streets and colonial-style buildings dating to the mid-1800s. Very picturesque. ...and when I say steep, I mean STEEP! Because of the proximity to the equator, the sun set at 5:45. I ate dinner at a restaurant downtown near the main square, Praça Tiradente, which is named for the hero of the revolution against Portuguese rule in Brazil in the 18th century, a dentist nicknamed Tiradente (tooth puller). I had chicken in pastry with spinach and gorgonzola and mushrooms, with rice & almonds. Yummy! I stopped into a couple of jewelry stores downtown and saw a few crystals, but nothing to tempt me. At 10 pm, I was finally off to bed, and sleep sweet sleep. Breakfast in the hotel dining room featured an enormous and very tasty buffet, with platters of fresh fruit (mango, papaya, watermelon, honeydew melon and watermelon), 4 fresh-squeezed juices (orange, guava, pineapple, and passion fruit), a variety of bread (including pão de queijo, a small cheese-laden bread made with yucca flour), cakes, scrambled eggs, sausage, outstanding Brazilian coffee (the country is the largest coffee producer in the world), and more. ...plus there were fried or scrambled eggs, sausage, hot cheese bread, coffee, and more! We spent most of the day going from shop to shop, mostly little hole-in-the-wall jewelry shops on the steep, hilly streets. Most of the shops have a small glass-front case tucked away somewhere with a few mineral specimens, mostly junky specimens of things like kyanite, quartz, tourmaline in matrix, topaz, aquamarine, etc. at high tourist prices. I was mainly looking for the local variety of topaz known as "imperial topaz" which was formed during the Cretaceous uplift and Tertiary extension. It is a naturally orange (occasionally pink) topaz, the color of the setting sun. Its name came from the 17th century Russian Czars, who claimed exclusive rights to all topaz of this color that was mined in Russia. We visited several shops, including Grupara Jóias e Pedras Preciosas, Casa das Pedras, and Jose Joaquim's Lapidação de Gemas & Jóias, where we were shown the typical folded-paper packets of imperial topaz, which were offered at high tourist prices. I inspected the packets and looked over the crystals in the display cases, but did not find anything affordable or special. Then we went to Moisés da Silva's Casa do Topázio, which had a small 10 foot x 10 foot back room, with wooden shelves which were packed with specimens. It was dark and very dusty but I had my flashlight and picked out several nice specimens. My best find here was a 6", 2-kilo citrine crystal. The pricing was by the kilo, so it was a good deal. I also found a nice magnesite and a couple of almandines for the same by-the-kilo price. Then it was on to another shop, again looking at the ubiquitous folded paper packets of imperial topaz. The problem I encountered was that the dealers were asking double the price I paid for imperial topaz at the Tucson Gem & Mineral Show; these were steep tourist prices, and worse, they didn´t allow picking, so it was buy-the-whole-lot or forget it. Pinto took me up a street called Stairway to Heaven (yes it was that steep, but I don't know why they call it heaven – it was hell!). We visited several more shops, coming away empty handed, then drove to Imperial Gemas & Artesanato just outside of town where the owner said I could pick from his very large selection. I made my biggest purchase - 4 big fat imperial topaz crystals, each weighing hundreds of carats, all quite gemmy and with vibrant orange color. After that we hit a couple more shops but I made no other purchases until we got to Ouro Gemas, owned by Henrique Jardel, wheere I bought a parcel of nice, gemmy, richly colored orange imperial topaz crystals. When we came out of the shop, a guy stopped us on the street to show us packets of watermelon tourmaline crystals, which I purchased on the spot, and more imperial topaz, which I turned down. After that, more men approached to show us crystals – obviously, the word was out about the crazy American carrying fistfuls of cash! We stopped for lunch at a local restaurant with a buffet featuring typical Minas Gerais dishes - locally sourced pork, chicken, beef, rice, salads, okra, and feijoada (a bean-based meat and corn stew). After lunch we walked over to the mineralogical museum at the School of Mines, which had some beautiful pieces in a very nice display, plus a systematic display of 20,000 specimens (too much to see, but good for the students). Then we pushed on to visit a few more shops, again looking at dusty specimens mostly in floor level cases, or else sitting at a desk and having the seller unfold packets of folded paper and show off imperial topaz, tourmaline, euclase, etc. Finally we headed back to the car, stopping along the way to go into a beautiful 18th century Rococo church, the Catholic church of St. Francis of Assisi, with extensive, skillful carvings of the local soapstone. At 5 p.m. we retunred to the hotel where I secured a box to pack my finds of the day. Later, I had dinner in the hotel dining room. Big day! Pinto is an outstanding guide, very knowledgeable and always on the phone arranging the next visit to a seller. I am delighted. I had brought the equivalent of just under $10,000 in cash with me to Brazil (see Sidebar 1, Money Issues for Travel to Brazil). 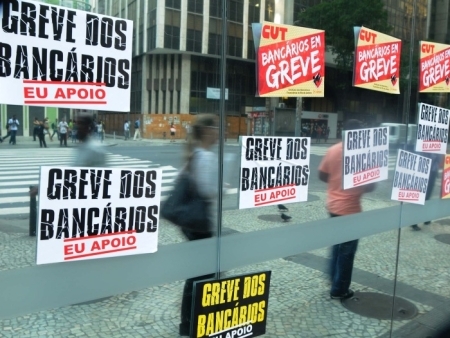 Carrying that much cash made me really nervous, but as it turned out, it was lucky I did, because the entire time I was in Brazil, all the banks were closed due to a strike (greve). If I had not brought cash, I would not have been able to get my hands on any money to buy mineral specimens! I was pleased to find that there were no mosquitos flying around in Ouro Preto. In fact, I didn’t see a single one on my entire trip. I had been concerned because of the press reports on the widespread occurrence of the Zika Virus in Brazil, so this was a relief (see Sidebar 2, Health Issues for Travel to Brazil). After another big buffet breakfast, Pinto and I left Ouro Preto and drove about an hour north to visit an imperial topaz mine in the village of Antonio Pereira, an outlying district of Ouro Preto. The mine was just outside the village, a large, heavily washed-out site with heavily-eroded, iron-rich, dark brown dirt. In the mine, a dozen garimpeiros were digging by hand with picks and shovels, loading the ore into wheelbarrows, and dumping it downhill to be washed by the rains that come in October with the start of the rainy season. The mine was open-cast, with claim pits being dug into the hematite iron ore that is the source rock for the crystals. Though larger mines are now typically run with heavy equipment, this one was operated by small groups of locals, and from them you could buy rough stones and crystals at attractive prices. I took a turn with the pick and after a few minutes of digging, I actually found a small topaz crystal! As soon as I stopped digging, several of the miners pulled packets of folded paper out of their pockets to show me crystals they had for sale. Pinto had warned me they would descend like flies, and they certainly did. We walked to another part of the mine and watched some lackadaisical digging by another group of miners, with two diggers and three leaning on shovels. Out of a pile of dirt the mine owner picked up and gave me a 4" clear quartz crystal, nicely terminated with no damage to the tip. Later, we headed to the mine office, just a small room on the nearby street. We were followed by several of the miners who had specimens for sale. I bought a big quartz crystal with two topaz sticking out plus a packet of imperial topaz from the owner, and a nice goethite piece with stalactites from a miner. At this mine, the way it worked was that the property owner leased different parts of the mine to several groups of miners, and they paid him a lease price plus he paid a low, pre-determined price for the crystals found, or if the miners sold them, he took 15% percentage of the take. Then it was back to the car to drive north to visit an emerald mine in the Itabira/Nova Era region, the most productive emerald region in Brazil5. The emeralds from this region are mostly cloudy, inclusion-rich, and fractured, with pale green color, grading to rarer inclusion-free gemstones having excellent color.6 We met the owner of the Capuerana Emerald Mine, Reinaldo R. da Silva, and his wife at a restaurant on the main road, had lunch, then headed to the mine. There I was outfitted with rubber boots and a hard hat. We entered the mine portal and followed steel cart tracks down the adit for about 100 feet into the hillside, which brought us to a room with the main shaft. It was about 12 feet in diameter, and went straight down. There was a moveable sheet steel platform which covered the shaft, and to the side was an electric winch with a ¾" steel wire cable wrapped around a drum; this was used to lower miners down the shaft and bring ore back up. I watched 2 loads of miners being lowered down the shaft suspended on a big 8" hook at the end of the steel cable. Then it was my turn, along with the mine owner's son. First I was outfitted with a safety belt, then climbed into the sling (two circular 5" wide leather belts called a cavalo ("horse" in Portuguese). I put my feet through the two straps and pulled them up to my crotch. Once I was in, the safety belt was hitched to the big hook, and I had to squat on the steel sheet. As I dangled from the hook, someone pulled away the platform and I was dangling over an open shaft that goes down over 400 feet! The winch lowered us down at what felt like a never-ending pace. I was clinging to the cable hitch with all my might the entire time. When we finally reached the bottom of this shaft, we got out of the harnesses, then walked about 50 feet to a second shaft. There I clambored into the harness again, ready to be lowered another 300 feet. Only this time there was no steel platform, so I had to get into the harness, then swing out over the open shaft! Oh my goodness, I was terrified! When we finally teached bottom I was hyperventilating, but managed to get out of the harness, then walk through the 5' x 5' tunnel for about 50 feet to the working face, where they had just that morning set off a dynamite blast. Well, it looked nothing like what the Disney artists who created Snow White and the Seven Dwarfs imagined, except that instead of seven dwarfs there were seven garimpeiros! They were doing clean up in the area alongside the tunnel which had been blasted. Unlike the other gemstones of Minas Gerais, which are found in pegmatites, emeralds in Nova Era occur in biotite schist, a metamorphic rock.7 The mine owner's son guided me past the miners to the end of the tunnel, around a couple of bends, all timbered with what appeared to be eucalyptus wood. It was hot and very humid, but well ventilated so it was easy to breathe. I took and posed for some pictures, but alas, I didn't see a single emerald. After half an hour at the bottom, I returned to the shaft for the two stage trip back up to the surface. By the time I reached the surface I was filthy and wet from the dripping water, my hands and arms were shaking from clinging to the big hook, and I was trembling like a leaf. Although I had almost chickened out before I went down, I was glad I did it - what an adventure! Pinto took video of me going down the shaft, which you can see here: https://youtu.be/jq05iQyiBFk. After emerging from the portal I used a hose to wash off the worst of the dirt. We then drove to the mine owner's house where I changed my clothes. Now I was ready to buy some emeralds. Ironically, the mine owner's partner had just closed a deal million and sold the entire inventory for $1.2! I didn't get to even see a single emerald. We went from there to visit the home of a local lawyer/mineral collector who had some specimens for sale. He had a few emeralds, a gem tourmalien crsytal, and some other pieces, but his prices were way too high, and I didn't buy anything. Thus ended the adventure of the emerald mine. As a side note, this mine was the only legal mine that I saw on my trip. From there, Pinto and I drove north the 3.5 hours to Governador Valadares, a city of over 200,000 that is 560' in elevation, and sits in a bowl of mountains. It was dark when we arrived at our hotel in downtown, where I found my room, then went out to dinner. Pinto had recommended a restaurant that was about six blocks away, so I went on foot to look for it. In minutes, I was drenched in sweat - it was 33°C, about 91°F, with killer humidity. I couldn't find the restaurant, so I walked back to the hotel and ate dinner there. My choice from the menu was filé palito ("toothpick filet") with fries, which turned out to be beef cut up into toothpick size pieces. Delicious and plentiful and I ate the whole thing. Pinto and I met for breakfast in the hotel dining room, which was another huge buffet with all the trimmings. Even at 8:00 in the morning it was over 90° outside. We drove the few blocks to visit the 2 biggest mineral dealers in town, the Vasconceles brothers, whom I had met many times in years past at the Tucson Gem and Mineral Show. Their businesses, Multi Gemas (belonging to Rubens) and Vasconelos Mineração e Lapidação (belonging to Paulo), were set up across an alley from each other. Each had cavernous warehouses with seemingly endless displays of crystals spread out on trestle tables. I went through both stores, being highly selective, and got some great pieces. The best finds were a fist size piece of rose quartz with crystals sticking up all over, a chunk of purple lepidolite embedded with a couple of startling, neon pink tourmalines, and some great jacaré smoky quartz. Because the other mineral dealers on our schedule were in the U.S. at the Denver Mineral Show, we departed Valadares a day ahead of schedule and drove 3 hours north to Teofilo Antoni, a city of 140,000 that is over 3,200 feet in elevation, and so much cooler than Valadares. Teofilo Otoni is reputed to have some 15,000 gem dealers in its modest population.7 There are literally hundreds of beryl (aquamarine) prospects close to the town, most with small scale garimpo mining operations. Outside of town the landscape was dotted with hills rounded smooth by tropical erosion, all covered with ledge-like thin trails that the cattle make when grazing. Everything was colored brown and tan from the dry season, and there were brushfires and recently-burnt areas along the roadsides everywhere. We arrived at the hotel in Teofilo at 1:30 p.m., then met up with Edson (Binha) Rivers, a Brazilian mineral dealer who is Pinto's friend. Pedro and I ate a late lunch at a roadside self service cafe (a restaurant/truck-stop eatery) on the main highway through town. This type of restaurant was ubiquitous along the highways in Minas Gerais. This one was typical: When you enter, you are given a blank ticket. You proceed to the buffet, which has 30 or more various salads, sliced tomatoes, hot vegetables, rice and potatoes (mashed or fried), fried manioc flower, sliced baked manioc, etc., then a grill that was loaded with various cuts of grilled, barbequed beef, pork, sausage and chicken (churrasco), where you picked out whatever meat you wanted to eat. Finally, your plate was weighed, and you paid by the kilo for what you took – typically about $3 per pound. While we were eating, a friend of Rivers', came and sat with us. He was not dressed to impress, and was carrying a beat up cardboard box, which I assumed held some rocks for sale. To my surprise, he pulled out an extraordinary 8" x 6" specimen of royal blue indicolite tourmaline, featuring terminated, finger-length and -thickness crystals all over that had a flashy wet-look luster. He was asking $80,000, which was so far out of my budget that I could only look at it in wonder. After half an hour of zig-zagging crazily down the road, we arrived at Gilsun's little house, where we parked, then hiked up the steep hillside to the mine. It exploited a pegmatite, and the cut was marked downhill by white tailings from the rotted feldspar that had been dumped down the hillside below. Gilsun proudly showed me the hand dug, un-timbered adit, about 6' high and 3' wide, which went straight and level into the hillside for about 75 feet. The workmanship was amazing, as it was featured a near perfectly-shaped arched tunnel. I followed him all the way to the end. I had read that some garimpeiros claimed to be able to detect hidden gem pockets by clicking their tongues and listening for the echo from deep within the walls of the tunnels.7 I tried this, but heard nothing. It had taken the miners about 2 months to dig this tunnel, and the best find was a 16" aquamarine with hemmy ends, though rotted in the middle. I didn't see any crystals, and Eduardo didn't offer any, but it was fascinating to see and admire this kind of labor-intensive, artisanal mining. We made our way down the hill, then clambered back into the clown car for the ride back to Rivers' farm. Along the road we passed numerous roadcuts through rotted white feldpar, indicating that the road had intersected pegmatites. We got out and explored a couple, but with no tools we found nothing. Back at Rivers' farm we saw his horses, cattle, chickens, a fish pond, guinea hens, turkeys, and more - it was a real ranch! In the shade of the farmhouse porch I picked out and set aside some etched aquamarine and goshenite crystals, and some heliodor crystals, and we headed back to town, where I ate dinner with Pedro at the hotel restaurant. After breakfast this morning, a muscled black guy who is a captain in the Federal Police showed up at the hotel to show me some crystals. He had some sky blue Paraiba tourmaline pieces, gemmy crystals in matrix. He was offeriing the three-parcel lot for $15,000, plus a big fat aquamarine crystal that he wanted $6,000 for. I didn't buy anything. We then headed downtown toa shop near the main square, the store of Evandro Soares Minerales. It was about 6 feet wide and 30 feet deep, with glass-front cases lining the walls on both sides. I picked out several pieces that caught my eye, including a sharp jacaré amethyst, a quartz crystal with tourmaline inclusions, and two red & white phantom quartz crystals. Then began the negotiations. The asking prices were astronomical, so I had to work backwards from what I thought I could sell the piece for, reduce that to set my maximum purchase price, then go down 40-50% for a first offer. If I had not been negotiating, I would have run out of money on day one! From this shop we walked the short distance to the main square to see if there was anybody selling crystals. One guy who was seated at a park bench pulled out a packet of aquamarines. Before I knew what was happening, a dozen or more guys descended on us. They were holding out packets of crystals, cut stones, etc., tugging at my arm, and asking how much I would pay. One guy had an aqua crystal he wanted $3,000 for - crazy price. Rivers told me he was concerned for my safety. He had me put my backpack on backwards, so it was on my chest, then we departed the square, following a garimpeiro walking a couple of blocks with to his house (well, it was a shack with cardboard and plastic sheets for sides and a sheet metal roof) to see his crystals. He didn't have anything interesting. Can you tell that this dealer did not like having his picture taken? When we got to the car, we realized we had been followed by a guy from the square. He had a nice 3" quartz crystal with embedded green tourmalines, but he wanted $200. I offered $100; he said no, that that was what he had paid for it. So I got in the car. He came to the window and said how about $150, and I said no, so no sale. It was lunch time, so we went to an open air market where people were selling fruits, vegetables, herbs, etc., including salted beef (a local specialty). We sat at an outdoor cafe and had a meal with beef, beans, french fries, manioc root, etc., etc., about 5 platters in all. After my big breakfast I hardly ate, but the beef was delicious so I focused on that. From there we drove back out to Rivers' house. There I picked through a table on the porch that was covered with green tourmaline in clear quartz, pink tourmaline in milky quartz, and several other combination pieces including some Paraiba turquoise blue tourmaline. I picked out some choice pieces. Then Rivers showed me some paper packets of tourmaline crystals. I was allowed to pick (at a higher price per gram, of course), and selected 3 bicolor red/blue green, gem clear tourmalines, plus 5 indicolite tourmalines. I picked out only terminated crystals of course. Bi-color tourmaline crystals to 1.2"
We sat down to negotiate at the kitchen table, which was covered with white paper. Like everywhere else, Rivers' prices were way too high. I told him his asking prices were higher than what I could sell them for. Much negotiation went on, and I used the paper to figure out my opening offers. His original asking price for the entire lot was $4,000; I ended up paying $1,425. After we shook hands on the deal I counted out the money, and we packed the crsytals into a box. Then I was taken by Rivers' son to see a mine that was about 10 minutes' walk away, through the barnyard where there were horses and donkeys, along a road, through a field, then along an overgrown hillside. The mine had not beedn worked for several years, but I was told that it had produced some nice black schorl tourmalines. We walked back to the house, where we drank some bottled water, then drove back to town. On the way we spotted the miner's car in front of a bar, so we stopped and arranged to meet him the next morning to visit another mine. We were drinking coke; he was downing shots of brandy with lime and salt. Then back to the hotel, arriving at 5pm. I ate dinner at a pizza restaurant right across the street - a pepperoni and mozzarella pizza that was hot and good. On the entire trip, it was a constant challenge to be shown so many beautiful crystals and then faving to decide whether to buy a piece or not. Mainly, the buy/don't buy decision was based on what price I could reasonably expect to get for a piece, as well ashow quickly I thought it would sell. I had to trust my instincts, based on 15 years of buying and selling crystals, trusting my "eye" for what I hoped would prove to be irresistible to a buyer on my webiste. So, I had this little conversation with myself every time I picked out crystals; then, after I had made my selections and started to discuss prices with the seller, about a third went back as too expensive, while another third, on second thought, were not as appealing as I had first thought, so I typically ended up bargaining for about a third of what I originally picked out. I had to balance being sensible and conservative with the need to "seize the day", since I wouldn´t have the same opportunity again anytime soon. On this subject, in 2005, Alan Leishman wrote: "The buyer who is able to chance upon newly mined high quality material before the next dealer or collector visits the mine, (or dealer) must seize the opportunity and quickly close the deal! "7 Then too, there was the need to conserve my cash, since with the banks on strike I could not replenish my supply. I knew I would be visiting many more dealers over the course of the rest of the tour, and there was no way to know in advance what they would be offering or how much money I would still have on hand, so I had to budget my spending. All in all, this was a tricky balancing act! After breakfast we went back to Rivers' farm and waited for the crazy miner to show up. He didn't come at 9:30, and finally arrived at 11:30 a.m. Again we drove in his clown car, this time to a nearby road cut, where roddwork for a planned condo development had exposed some quartz and muscovite. No good crystals, but it was amazing how abundant the pegmatites were in this area. When we finished looking around, we went back to Rivers´ house and had Sunday dinner of roasted pork, vegetables, rice and beans, sausage and pork rind, with fresh pineapple juice and slices of pineapple, all purchased earlier from the back of a farm truck that had been parked on the roadside in town. After lunch everyone took nap. It was sunny all day, and the temperature reached 90F with high humidity, so I was hot and sticky the whole time. I was dropped at the hotel at 5:00 p.m., had dinner at the pizza restaurant across from the hotel about 7:30, then to bed at 10 (there are no shows on TV in English,). In the morning we packed the car and drove north toward Araçuai. As we were heading toward the equator, it became progressively hotter, so Pinto blasted the AC on the car. After a couple of hours on the road we reached Itaobim, where we checked out a wholesale mineral dealer's shop alongside the highway. It was an open air area, set up behind a little café, and was covered by a sheet metal roof. Though there was tons of stuff (literally), it was all junk. We hung around for half an hour waiting for another guy to arrive, but wehn he came we found out he had just sold his whole collection. So we left to go see another dealer who had a large showroom on the road north of town. He had some lovely specimens, but his initial asking prices were way too high, which seemed to be the way it always started. Pinto gave the usual explanation about how I am a dealer, not a tourist, and any specimens I bought would have to be shipped home, then sold at a higher price. After that the guy's asking point dropped by half. I picked out about 10 pieces, including some blue kyanite, tourmaline on quartz, and a few small jacaré quartz pieces. I bargained hard and got the price down to a workable number, and paid for it with piles of 10 reais notes to get rid of the bulky packs of bills I had gotten from the bank in Massachusetts. We went to get lunch in town, and it was another "self-service", with the price by the kilo. I had some beets, beef, chicken, and pork. There was no AC, but there were overhead fans so it was tolerable. After lunch we drove to Taquaral, which took about 2 hours to go 35 kilometers, because the road, though paved, had so many deep potholes that you could only go about 30-40 mph, and we were constantly having to brake to a crawl and swerve. In this sleepy village in the town of Itinga (population 6,500), it was easily 100 degrees in the sun. We stopped in the main square to make inquiries about how to get to the mines, which we could see on a hillside overlooking the town. We drove up a horrible dirt road to the first mine, where 6 miners were sitting outside waiting for the fumes to clear from a dynamite blast. Pinto had warned me that I had to keep my camera hidden until we had gotten permission to take photos. These were illegal diggings, since the miners didn't have any permits, so they had to be cautious. Though I didn't see any guns, I was told the miners might produce weapons if they thought I was police. After obtaining permission, I took a couple of photos. However, I declined the invitation to go down the 40-meter deep shaft, because it would have entailed climbing down a series of half a dozen rickety homemade ladders with the rungs tied on with plastic rope. No thanks! We walked over to another pit, run by another group of four miners, this one about 30 meters deep. Again I turned down the chance to go down the makeshift ladders. These guys had a generator running, and they were using it to operate a winch with a 3-gallon plastic bucket used to hoist out debris. At another nearby shaft I was shown the Bosch electric drill they used to make the holes for blasting. Leaning over the precarious edge, I could peer down the shaft to the bottom, where there were several side tunnels, which were not timbered. I had been brave vefore at the emerald mine, but this gave me shivers. We then drove to another section of the hillside half a mile away, again asking the miners' permission to take photos. The pegmatite here was closer to the surface, as the pits were only 15-20 meters deep before branching off to tunnels going into the hillside. One of the miners said he had some crystals for sale, so we drove to his nearby house, where he showed us 2 terminated green tourmalines, finger thick, all gem, each about 3" long. I took a picture, but didn't make an offer, as the asking price was $7,000. We drove back to the main square to visit the mineral dealer Zé Maria. A hallway led us through the living area in the front part of the hosue to the back rooms and yard, which were jam-packed with specimens, total chaos, rocks everywhere, a true Fibber McGee's closet. I spent about an hour searching through the untidy jumble, and picked out some nice specimens of elestial quartz, rose quartz crystals, a watermelon tourmaline in matrix, another loose one, and a few other pieces. The material was not as good as what I had seen earlier, but after serious bargaining, the prices were noticeably cheaper. This untimbered mine shaft goes down 40 meters. Care to go down to take a look? When we arrived at our hotel in Araçuai around 5:00 p.m., the temperature was 98°F and it was unpleasantly humid. Uggh. I took a shower and drank a bottle of mineral water while the air conditioner cooled the room off. We went downtown to the main square and ate dinner outside jsut off the main square. We were joined by the son of the man who owned the hillside with all the mines back in Taquaral, and he regaled us with stories about expensive tourmaline crystals and showed us photos of a few of them on his cell phone. The Positions We Assume: What Kind of Collector Are You?